My recent vacation was a trip of many firsts. First time to book my own hotel in Hong Kong, first time to travel as a family, Nikola's first time abroad and many others. I never went to Hong Kong by myself so booking hotels was usually left up to the oldies, all I had to do was show up. 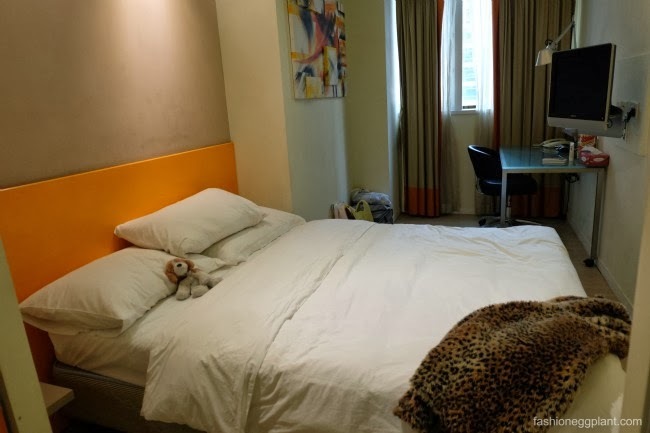 We couldn't really afford the same hotels we used to stay in with our respective families when we were both single so we had to look for a new one that had a nice location, was decent, comfortable, as well as fit our needs and budget. If it was just me and Dennis, booking a hotel wouldn't be such a big deal. I could probably survive in any bed and breakfast provided it had it's own private bathroom but when traveling with young children, there are many other things to take into consideration...especially when you travel with a daughter like mine who is quite prissy. We searched Agoda for weeks looking for a perfect match. We almost booked Park Hotel but on the day we were about to confirm, all rooms were already sold out. We began searching again until I came across Citadines on Ashley. The name Citadines rang a bell and then I remembered that I was invited a few months back to the press launch of Citadines Manila. Citadines is operated by Ascott Hotels. The good thing about chain hotels is that you can pretty much expect the same thing (more or less) once you've been to one. Getting to Citadines from the airport was also really easy even with a child and luggage in tow. We took the train and since its location is just about two blocks away from the Tsim Sha Tsui MTR station, it was only a short walk. 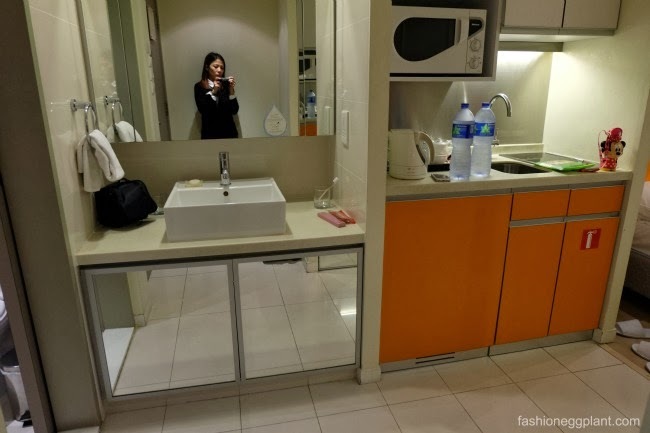 Prior to our arrival, I sent in an email request for early check-in since were due to arrive in Hong Kong at about 10am, I received a reply in less than 24 hours saying that if accommodations permit, they will grant our request. I thought it was a nice way of saying no and would have to wait around 'til 2pm before regular check-in. Much to our surprise and delight, we were immediately shown to our room after presenting our printed out transaction receipt from Agoda. No fuss at all, just the routine credit/cash deposit of $500HKD and the room was ours to enjoy for the rest of our trip. The room itself wasn't shiny and spotless but it wasn't gritty either. It could use a new paint job because there were a few scuff marks from shoes and luggage on some of the walls but I didn't really mind, it wasn't as if I was going to live there and stay cooped up in my room. Other than that, it was clean, spacious and very comfortable. Beddings and towels were nice and clean, goose down and odorless. Bed was nice and firm as well. It was a welcome retreat after a long day of walking and shopping. There was ample hot water, free instant coffee, cream and sugar and our own air-conditioning system so we could control the temperature to our liking. Wifi was fast and the toiletries were pretty decent (just bring your own conditioner and lotion cause they don't provide any). I also loved that we had our own kitchenette with a toaster, electric stove, mini ref, microwave, hot water pot, cutleries, pots and pans, plates and glasses. We could re-heat our take out and I could make my own coffee in the morning to save up on cash. There is no room service available in Citadines but there is a quaint coffee shop on the third floor and a bar on the second floor. Housekeeping is free, just tell the front desk when you want to have your room cleaned. Ironing, dry cleaning and other special services are also available for a fee or you could do it yourself since the rooms also come with an iron as well as an electric safe. If you need an adaptor for your electronic devices, the room comes with one, if you require more, ask the concierge, they will be more than happy to help you out. Queen size bed with goose down pillows and comforter, flat screen tv with some English channels, wifi service, desk, spacious cabinets, electric safe, hairdryer, iron, phone. Shower with thick cotton towels, toothbrush and toothpaste set, organic top to toe wash.
Kitchenette with electric kettle and stove, toaster, microwave, mini ref, cutleries, pots and pans, plates. But most of all, the best thing about staying at Citadines Ashley aside from feeling like a home away from home, is its location. 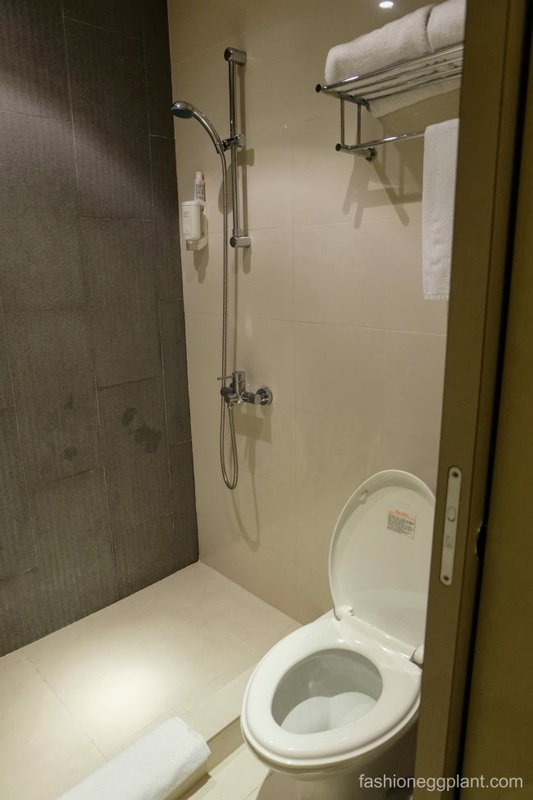 It's smack in the heart of everything, 2 blocks from the MTR, the street itself is lined with numerous locally sought after restaurants like Delicious Kitchen, Ebineezers and so much more. It's in a cul de sac so the road itself is pretty peaceful and quiet for Hong Kong standards. There's a Sasa at the end of the road and a pedestrian crossing which takes you just a block away from Silvercord Mall and Harbour City. It's also walking distance to Tom Lee, Granville Road, Avenue of the Stars and many, many other malls and restaurants. Some people say that the location of your hotel isn't that important anymore since there are MTR's everywhere. To me it still is, because MTR rides, though affordable, still cost money. Why pay when you can walk? Overall, we loved our stay at Citadines and will definitely book here again on our next trip to Hong Kong.